Monitoring will be held on the contact line between Armenian and Azerbaijani armed forces near the Chamanli village in Azerbaijan's Agdam region Jan.22. The monitoring will be held under a mandate of the OSCE chairman special envoy, the Azerbaijani Defense Ministry reported. The monitoring will be held on the Azerbaijani side by OSCE Chairman-in-Office Personal Representative field assistants Imre Palatinus and Irji Aberli. 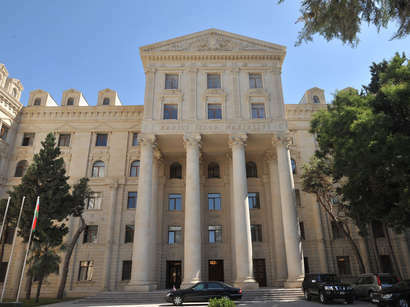 The monitoring will be held on the opposite side, which the international community recognizes as Azerbaijani territory, by OSCE Chairman-in-Office Personal Representative Andrzej Kasprzyk's field assistants Imre Palatinus, Vladimir Chountulov and Jaslan Nurtazin.